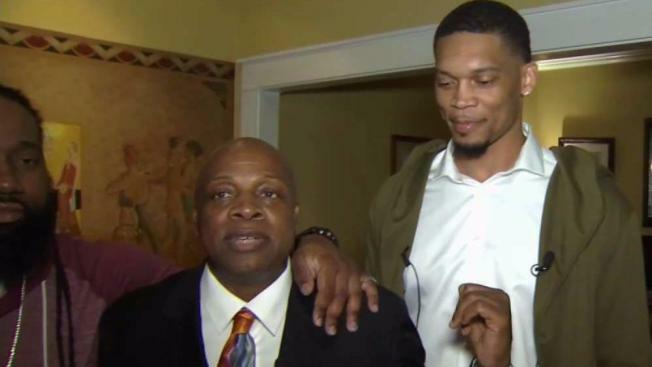 Long before Samuel L. Jackson played him on the big screen, the real "Coach Carter" was teaching his students the value of hard work and discipline at Richmond High School. On Thursday night, Ken Carter was reunited with his former students and players. Their story is well known now: Carter was a man on a mission to teach his students the importance of discipline and education. In real life, there was often conflict and humor. "Listen, I don’t need a 15-year-old friend. I need you to go to school and get your education so you can help me get my Social Security check," Carter said. After teaching for eight years, Carter now enjoys a fulfilling career as a motivational speaker. Many of his students also are very successful. One in particular stands out. Since playing for Carter 20 years ago, Wayne Oliver has played on the international pro basketball circuit. "I’ve played in Japan, China, Dubai, Egypt, Canada, Mexico," he said. "I’ve been all over." Oliver retired a couple of years ago, and Thursday night, he launched the second chapter of his career. He’ll be joining Carter on the motivational speaking circuit. Oliver is a shining example of Carter’s lessons on the basketball court. "There were four things we tried to teach these kids," Carter said. "It was accountability, integrity, how to be a great follower before you can ever be a great leader, and it was all about team and family."